I’ve seen some strange things on beaches. This one time I saw a dog speaking English. But then I realised the dog was just yawning and his owner was talking to me. It’s fair to say I was disappointed. But forget talking dogs, if it’s even possible for you to do so. Some people can’t… it haunts them. For now let’s focus on some real things discovered on beaches. Mysterious things. From a mysterious giant eyeball to dozens of Victorian grave stones, here are ten Mysterious Beach Discoveries. 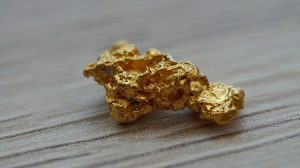 Last year a man discovered a gold nugget on a Welsh beach. It was the country’s biggest ever gold nugget, valued at 50 thousand pounds. It is thought to be part of a massive treasure trove of gold worth over 150 million US dollars. The gold was lost in 1859 when a ship called the Royal Charter sank just off the coast. 450 people died and the gold was never seen again – apart from one single gold nugget found about 40 metres from where the ship sank. This could mean the 150 million trove may also be buried on the beach or lying under the sea bed. Unfortunately the nugget was taken by the government, which is why the man kept it secret for 4 years before announcing his find. 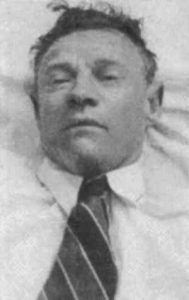 In 1948 the dead body of an unidentified man was discovered on an Australian beach. The corpse was wearing a fine suit with an expensive cigar in his ear, one that was not available in Australia at that time. Nothing on the corpse identified the man, not even his fingerprints. Inside his trousers was found a secret passage. It contained a scrap of paper which read “Tamam Shud” – which in Persian means “ended” or “it is ended”. Photos of the body were taken and a death mask made. The case went cold. The body is buried. Eight months later a man came forward with a strange book. He claimed to find the book in his car, which was parked near to where the corpse was found. It turns out the scrap of paper found with the man was actually torn from this book. Still today it’s unknown who the man was. Some say he was a spy. Others say he was an international criminal. Five years ago a giant eyeball was discovered on a Florida beach. Now even in Florida this was considered strange. The most pressing question was, of course, where did this eye come from. Some kind of giant cyclops perhaps? But experts soon made it clear that Cyclops don’t exist and it most likely belonged to a large sea creature. The eye was preserved in ice and sent away for genetic testing. At first they thought it was from a squid as other sea creatures with large eyes usually have them more deeply embedded. So it’s unlikely they would wash ashore alone. But it turns out the eye belonged to a swordfish – the oldest kind of sword. They can weigh up to 14 hundred pounds so it’s no surprise they have big alien eyes. On a Japanese beach 48 million dollars worth of cocaine was found. Four backpacks were discovered containing 80 kilos of cocaine, making it the biggest drug seizure in Japanese history. No one really knows why it was left on a beach but I’m assuming something went very wrong. 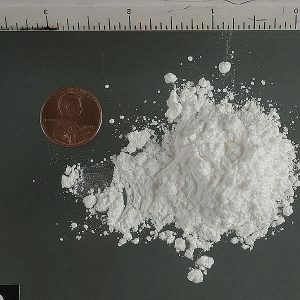 I also think if cocaine worth 48 million was left on a beach in my city, by the time police got there it would be worth maybe half as much. It’s thought the bags fell overboard a trafficking vessel and drifted ashore. Others think the coke was a gift from Poseidon. That’s a joke… no one thinks that. There’s a beach in Canada where they keep finding human feet. The first severed human foot was discovered there in August 2007 and since then 15 more have been found; the feet are proving to be some of history’s most enigmatic beach discoveries. Most of them remain unidentified and no one knows how this happened. It seems beyond explanation but some say they are what remains of victims of a local serial killer. What’s most likely is that the feet belong to suicide victims because when bodies decompose in water, hands and feet usually detach within a short period of time. It is chilling though that only the feet wash up on the beach. No hands. No other bones. Just severed human feet. The odds of finding 2 feet on the beach has been judged as one million to one. 16 have been found. Indonesian fishermen recently discovered the carcass of a mysterious sea creature. Word soon spread of a dead sea monster washing up on an Indonesian beach and everyone was wondering what it could be. Local islanders were terrified of the tusked monster, fifty feet long, with blood spilling out of it. Some said it was a yet undiscovered species. But it’s now thought to be a partially decomposed baleen whale. The whale have migration routes near the island. Dead whales usually sink though and they are shaped quite differently than this carcass. So it’s likely a deformed whale. Still, some say it’s an ancient sea monster. One cold winter thousands od giant snowballs suddenly appeared on a Siberian beach. Now the first question here is who the hell goes to the beach in Siberia during the winter. That’s the real mystery. The second mystery is how this happened. Eleven miles of beach saw the giant snowballs wash up. I say snowballs, they’re really balls of solid ice. Some of which are 3 feet wide. It’s the result of a very rare natural process, where ice forms normally, but then by wind and current is rolled into balls. The balls then have the appearance of being hand crafted. The history books tell of dead monsters washing up on beaches all across the globe. These stories were used as evidence of giant sea monsters for thousands of years. I assume a lot of these stories were entirely made up. But since the invention of photography meant cases can still be examined today. Cases like the St Augustine monster. 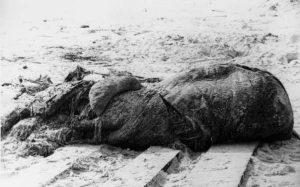 This unidentified dead beast washed ashore Florida in 1896. Word soon spread that a dead sea monster had been discovered and the following media frenzy made it famous. Biologists came from all across America to examine the carcass. In the coming some would claim it to be a giant squid, with local legends telling of monsters squid who kill and consume tourists who go swimming. It’s an example of a globster, an organic mass found on beaches, often assumed to be a monster. I wonder how many mythologies have sea monsters solely because of globsters or other mysterious beach discoveries. A beach in San Francisco is known for tombstones washing up there. The headstones were from the 18 hundreds and they started being found in 2012. The eerie tombstones baffled locals. It seemed like a several century old mystery was about to be unearthed. 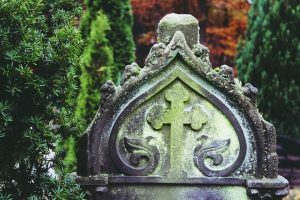 Encounters with Victorian gravestones don’t tend to end well. I learned that the hard way. But it wasn’t long before an explanation emerged. It turns out old headstones were re purposed for construction, some being used to form a sea wall. The crashing waves occasionally knock tombstones loose and they wash ashore. It’s a surprisingly innocent explanation for such mysterious beach discoveries; And there was me thinking San Francisco was haunted by Victorian Sea peoples. George Bidder was an English marine biologist in the early 20th century. In 1906 he wanted to examine the direction of currents of the English channel and Celtic sea. So he released one thousand messages in bottles into the ocean. Nyone who found the postcard inside each bottle would read the postcard inside and be informed of the experiment. On returning it to him they would be paid one shilling. Many of the postcards were soon found and the shillings were paid. He wasn’t a con man, he was a hearty gentleman. But some bottles were never seen again. Well in 2014 a woman in Germany found one. It still contained a postcard and she contacted the marine biological association. Being 108 years later, they had no shillings at hand. They actually bought an old shilling on ebay to send to her. 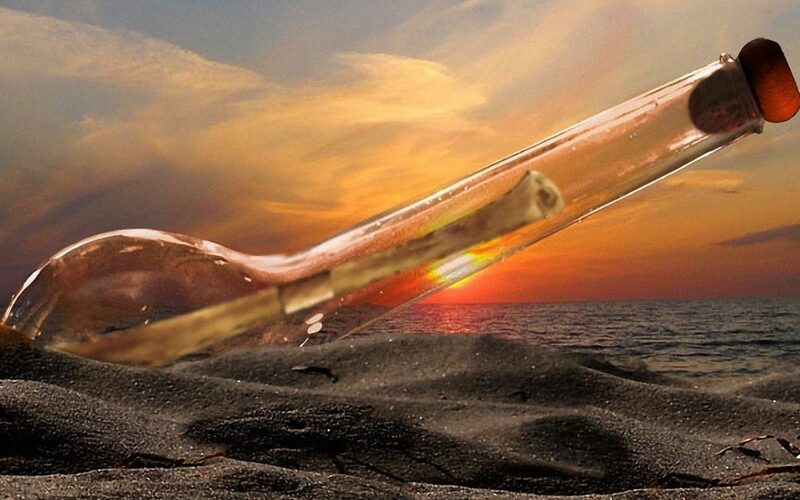 It’s been declared the oldest known message in a bottle ever found.